Everybody is still on the buzzwords of social media. Social media marketing, social media strategy, etc. And this is a great tool for Twitter. This is a great tool for LinkedIn. Look at the latest way to use Facebook and how to increase your engagement, etc., etc. However, what they forget to mention is this: social media on its own will not do anything for you. Yes, it won’t do anything. Now, remember- notice I said on its own. 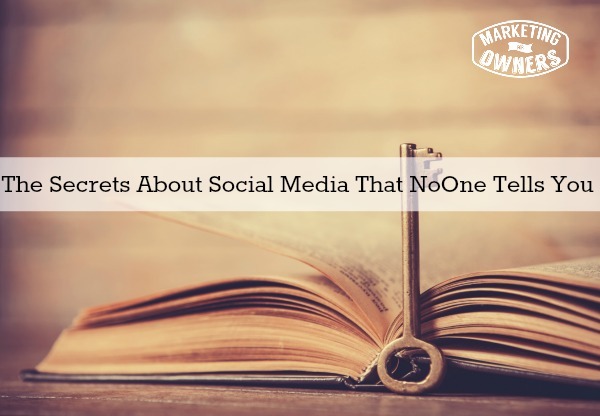 So yes, you need social media but it’s part of a strategy. It is not the be all and end all. Your social media platforms are for building relationships with your potential and your existing and your past customers and for keeping relationships going. Twitter: Used for quick snippets, quick chats, one-on-one talks. Facebook: You can put out public information. Pinterest: You can create lovely boards of pictures, images. Instagram: You can let people know what you’re up to. LinkedIn: You can talk in a much more professional basis of your services and build a strong following. Google+: You can have hangouts, you can show videos. Yeah. You can [inaudible] also some Google+. These platforms on their own are fabulous. And the great thing about them is that because you don’t know exactly which platform is a favorite for every single potential customer, by being on them, by having a presence- if say, Instagram is that potential unknown customer’s preferred platform, you’re there, they’ll find you, they can come back to your website. That is what they are for. These platforms are to build a relationship, to build the trust, to get to know those lovely, nice, new customers, and then to bring them back to your property, your main web presence which is your website. And why this little test? Why do we want to bring them back to our website? Why don’t we want to leave them on your social media platform even if you got a huge Facebook page with a million followers? Why don’t you want to leave them there? Because you can’t do anything with them. Yes, because that’s the other secret. You can’t sell them anything on those platforms. Yes, you can have links to products and so on and there are actually sneaky ways of selling on Facebook and so on, but not really. You can’t sell anything on Instagram. You can’t even link to a post on Instagram. You can’t sell anything on Twitter. If you try to do that, you’ll soon, get rid of people. Those offers or mentions of anything that you sell have to bring them back to your website to do the work or the selling. But better still, those people you don’t know that you are trying to build a relationship with, you can build a relationship quietly. They can be looking at you. You’d have no idea. Bring them back to your website, to a landing page and get them on to a lead capture. Give them a lead magnet, give them something wonderful. Wow them, impress them. Give them something they would like to pay for in exchange for their e-mail. That gives you permission to market to them. Now, you can get to know them. Now, they are on your owned media rather on your rented media. For example, let’s talk about Facebook which I have referred to in the past as the Emperor’s New Clothes. Facebook is one of the major marketers. Brian Clark of Copyblogger Media recently referred to it as a baton switch. And your engagement cuts down and the number of people who see your posts is down to about 1, 2, 3% unless you pay. Now Facebook is getting lots of money because people now have to pay to play. That’s the other secret. If you want to use social media to its best effect, these people want you to pay. If you want to get front and center and in front of the exact people you want to get in front of, you need to pay as with everything. It’s not free in the long term. So remember this, social media is a way to build a relationship but then you need to bring them back to your website and preferably to a landing page so you can get their e-mail. Then you can talk to them and then you can drive them to make a purchase. If you want to use social media to its best effect, you need to pay. And don’t ever try selling things via social media. If you are going to make an offer, make it incredibly great and make it count. Make it special. But bring them back to your website to see it. It Thursday which means it is time for a podcast. This is one of my favorites and of course, I can listen. I recommend a podcast every week and I do listen to them and I do like them. But I have some that I listen to regularly. 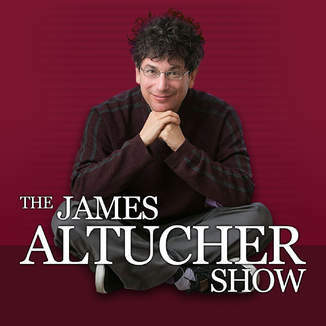 Today, we’re going to talk about The James Altucher Show. Now, James Altucher, I recommended his book Choose Yourself . He is great. He is so honest. He is kind of weird in a weird, nice kind of way. If you listen to his voice, I can’t explain it but there’s something about his voice that is kind of strange. But he is a top writer and he is renowned. He gets extremely high quality guests and he asks some different type of questions than anyone else has asked and gets different types of answers. Seriously, top notch people. Look for The James Altucher Show. It’s one of the best of all business podcast. It lasts about an hour. He is a good fun. Quite witty. Very dry. Look up his past episodes, listen to them. You won’t regret it. What do you need to do to your social media to increase the reach?